Normal business was suspended during the June 2018 Local Lodge meeting, in order to make a special presentation. 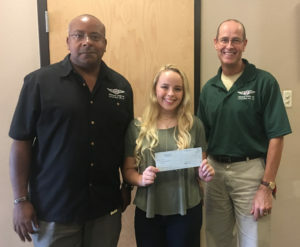 Chloe Wood, daughter of Brother Bruce Wood, was presented with the 2018 Robert V. Jurasek/Bobby G. Jones Memorial Scholarship. This $1500 scholarship is awarded each year to a graduating high school senior that is the child or stepchild of an active Local Lodge 463 member. Selected by an independent scholarship committee, the recipient is chosen based on academic achievements, extracurricular school activity involvement, and by exhibiting leadership qualities in school and community organizations. Chloe is a graduating senior from Sylvan Hill High School in Sherwood, where she lettered in varsity soccer for four years, and was the Senior Class representative to Student Council. Chloe was also a member of the Beta Club, Yearbook staff, and the National Honors Society. She plans on attending the University of Arkansas – Little Rock and majoring in nursing. Her father, Bruce Wood, has been a Navigator Instructor and member of Local Lodge 463 since 2009. 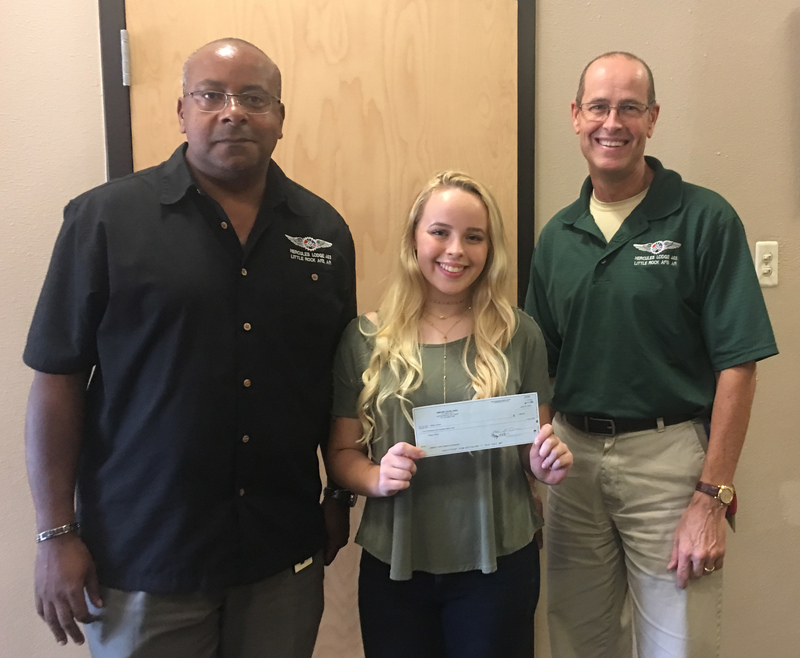 The Local Lodge congratulates Chloe on her high school achievements, wishes her the very best in all her college endeavors, and is excited to award her with this well-deserved scholarship.